Protecting your high-value materials is a top priority for BudcoSecuritySeals.com. That’s why Budco stocks many types of seals to meet a wide spectrum of industry needs. Our tamper evident bolt seals offer heavy duty protection for all types of containers. Our Intermodal II and SnapTracker bolt seals offer several fraud protection features that provide the highest level of security for all types of trailers and containers. These C-TPAT/ISO 17712 compliant bolt seals are numbered on both seal body and head to prevent substitution of either part. The bolt seals feature rub-proof laser marking to ensure the bolt seals’ integrity in transit. 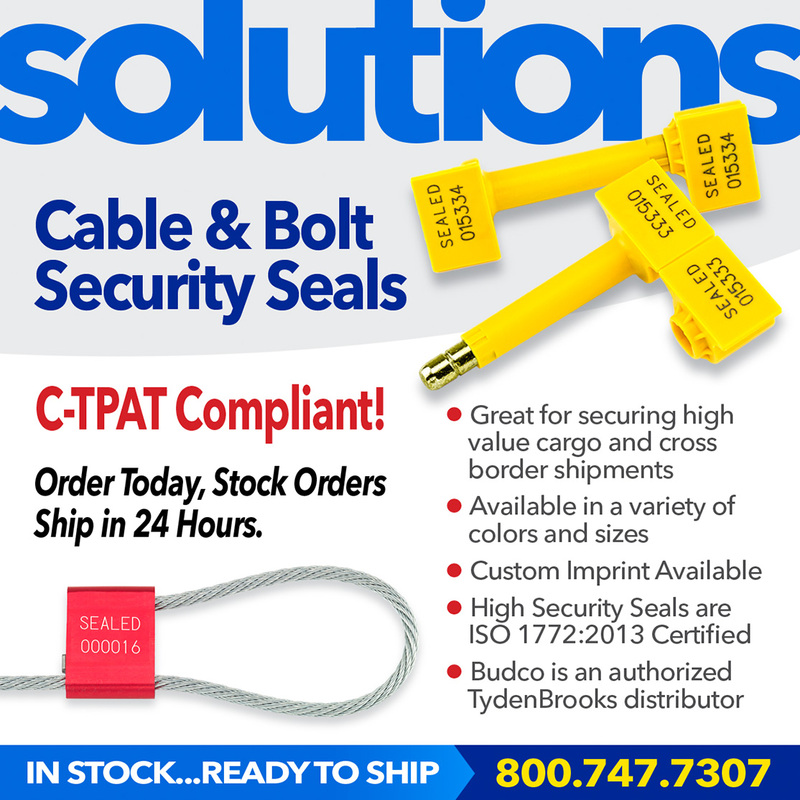 BudcoSecuritySeals.com’s heavy-duty cable seals also offer reliable and adjustable in-transit safety for containers, drums, cash transfer bags and other types of vessels requiring high security seals. These high security cable seals offer a more flexible design capable of securing a wider variety of shipping vessels and containers. BudcoSecuritySeals.com specializes in high security seals and stocks hundreds of products that can ship today. Our trained staff can answer any questions you have, so call us at 800-747-7307. Our offices are open Monday-Friday, 8 a.m. – 5 p.m., CST. Click to view our full product line of High Security Seals and Security Seals.